The Department of Otolaryngology—Head and Neck Surgery at Columbia University is one of three centers in the world conducting a clinical trial in which cellular regeneration is being used to treat hearing loss. 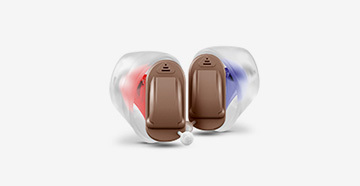 Most causes of hearing loss are due to the death of so-called inner ear hair cells. These hair cells (named because they have tiny endings that look like hairs) detect sound waves and then send this information on to the brain. 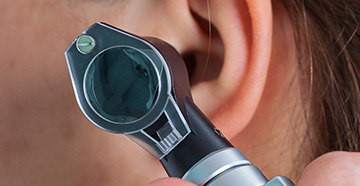 As a person's inner ear loses hair cells—due to aging or certain genetic conditions—he or she loses hearing. The study involves an investigational drug containing a gene that has been shown to produce hair cells in pre-clinical trials. Currently, the only way to treat severe-to-profound hearing loss due to death of hair cells is through cochlear implantation. However, in the future, some forms of hearing loss may be treated by biologic regeneration of the damaged inner ear cells. "This is the first gene therapy trial ever performed in the ear, and is so exciting on many levels." "We hope that the treatment will one day allow doctors to regrow the critical hair cells that are involved in hearing, possibly even supplanting the need for hearing aids and cochlear implants", added Dr. Lawrence Lustig, Chair of the Department of Otolaryngology—Head and Neck Surgery. Hair cell regeneration studies are also being conducted at Johns Hopkins University and the University of Kansas.